With the Euroleague regular season drawing to a close last week, this week is a blank week in Europe’s premier basketball tournament for club sides. This means some teams will be sat at home licking their wounds and reflecting on a season that went poorly but there will also be eight teams enjoying some rest but also building towards getting back into action next week. There are four playoff ties and Game 1 (in a best-of-five series) takes place on the 18th and 19th of April. We have three Turkish teams, two Greek sides, two Spaniards and a Russian squad making up the eight teams in the Playoffs and it looks like being a big set of fixtures as these teams battle it out for a space in the Final Four. There will be a fast turnaround with Game 2 taking place on the 20th and 21st of April. The Playoffs get underway on Tuesday of next week with games in Greece and Russia. Home court advantage is seen to be important so you can bet the home teams will be desperate to get off to a flying start but the away teams know that a good performance in the opening clash could blow the series wide open, providing a pathway to the Final Four. As reigning champions CSKA Moscow, will be determined to make the most of their home-court advantage and they will be keen to retain their crown. 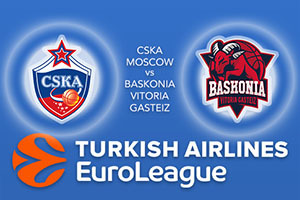 Baskonia have performed well over the course of the season and while they know they face a huge task in this series, they won’t be overawed by what will unfold in Moscow. The Greeks haven’t made it to the Final Four since 2012 and with home-court advantage, they will be keen to rectify that situation. A run of injuries meant that the Turkish team stumbled late on in the regular season, with a poor run of form costing them any hope of home-court advantage at this stage of the tournament. This is a tie that could go either way and it is likely to be one of the most exciting series in the Playoffs. The 2015 champions lost out in the Playoffs last season so this series provides a chance for Real Madrid to redeem themselves. As regular season table toppers, they face the side who secured their place in the Playoff in the final week, so on paper, the Spanish side will be clear favourites. You can guarantee that the team from Istanbul will be determined to leave their mark on this stage of the tournament. The second Greek v Turkish match-up of the series sees Olympiacos and Efes clash, and again, this could be a tight affair. The matches involving the teams who finished in the middle of the Playoff zone look very close to call and it could be that home court advantage plays a big role in these games. 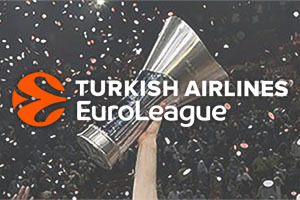 With over a week to go before the Playoffs get underway, it is good to have a take a small break from Euroleague action but by this time next week, players, coaches, fans and basketball lovers will start to get excited once again about one of the best basketball tournaments in the world.